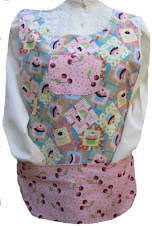 I was fortunate to receive a call from a place that I have done business with. 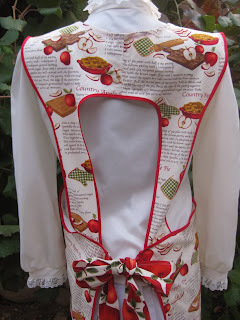 This led to a custom vintage apron using two of my favorite food prints. 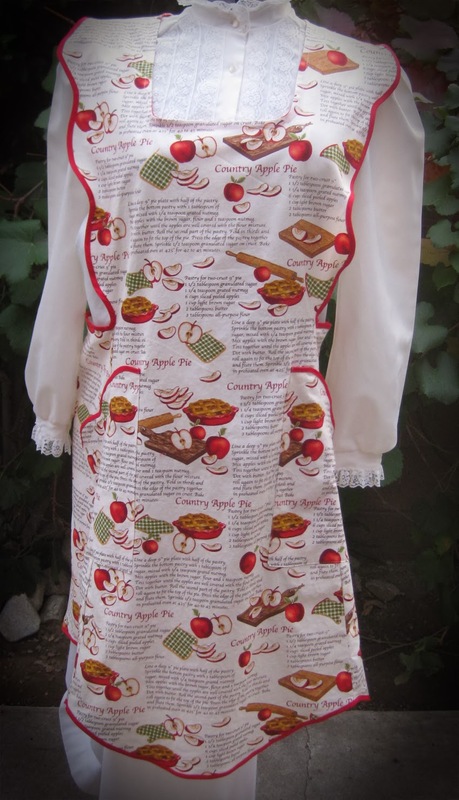 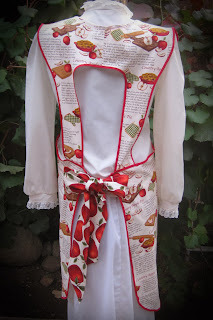 The main apron and pockets were made using an apple pie recipe print. 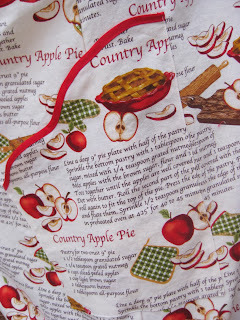 For the straps, I chose to use an apple print. 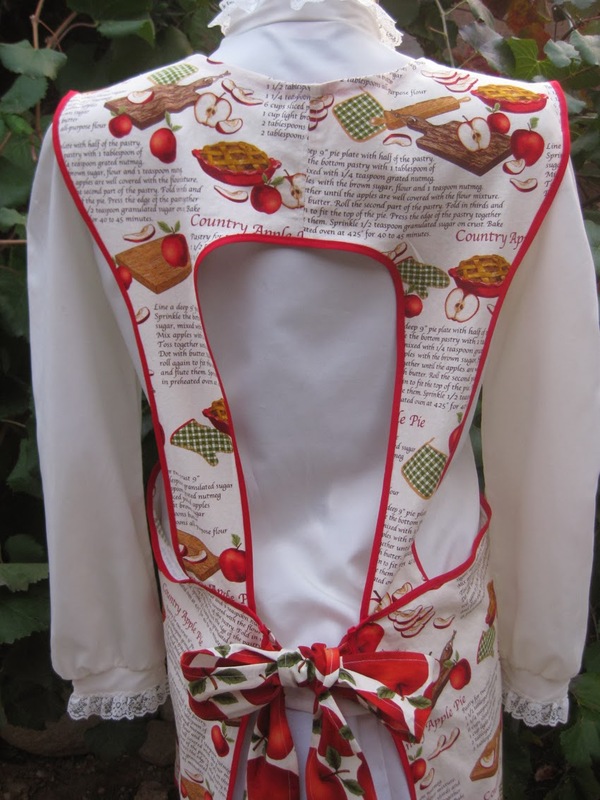 I really like the way that this apron turned out. 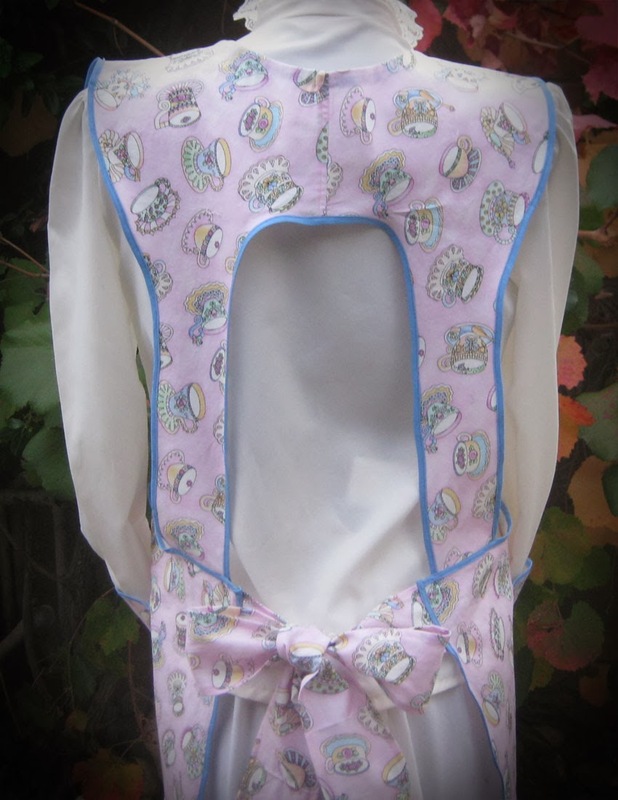 I am always happy to make a special apron whenever possible for my customers. 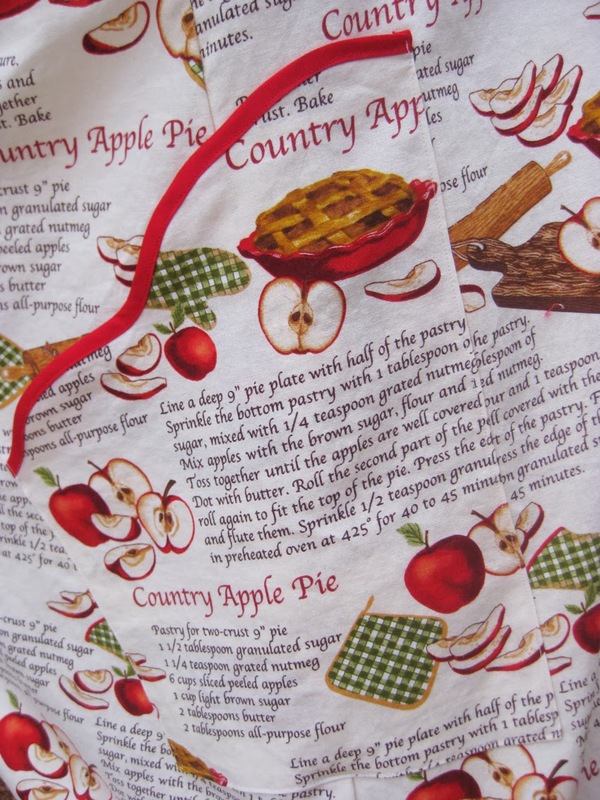 The colors are rich and if you lose your recipe, it is easy to find a good one on this apron. 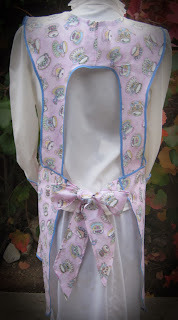 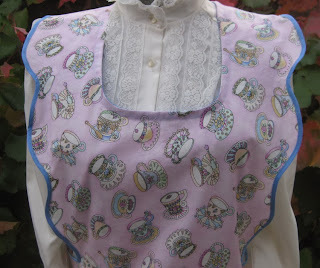 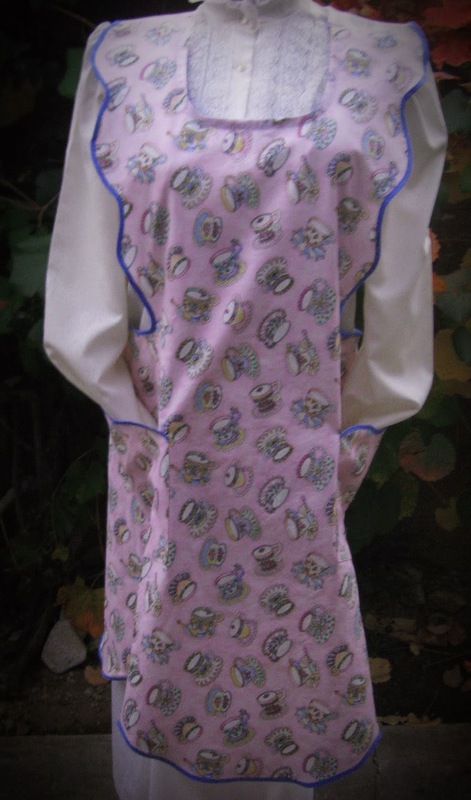 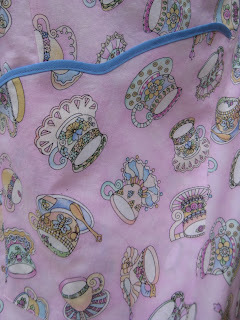 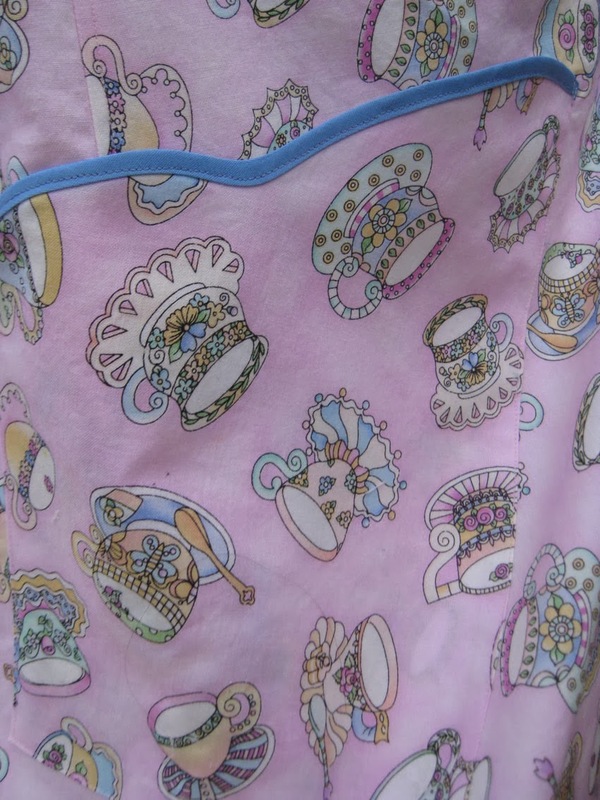 A special and dear friend of mine also wanted this same apron, but in a gorgeous floral teapot print fabric. 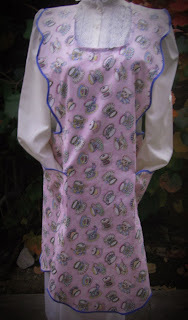 After deliberating about the color for the seam binding, I chose a blue shade.The blue shade is darker than that depicted in the images.